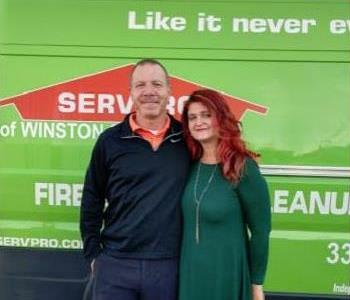 Brian & Tanya are the Owners of SERVPRO Winston Salem North. They have over 9 years experience in the Industry. 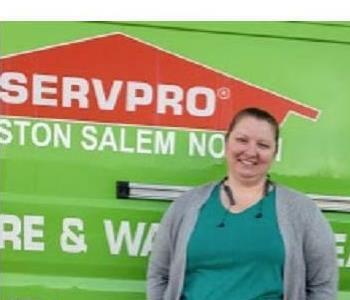 They also have Many certifications from the Institute of Inspection Cleaning and Restoration Certification (IICRC): Water damage Restoration, Fire/Smoke Restoration, Odor Control, Applied Structural drying, carpet cleaning, Lead-Based Paint Activities and renovation, Rug Cleaning technician and Upholstery & Fabric Cleaning Technician. We are a IICRC Certified Firm along with OSHA. We also have our entire staff Certified in the Employee Certification Training program. Vince Willis is the Sales and Marketing Manager. He has over 15 years experience. Served in the United States Navy Proudly for 10 years, taking him all over the world. His hearty laugh and quick wit will make most disasters melt away. He understands the position you are in during troubling times and tries to expedite the process wherever possible. Sandy Smith is our Office Manager. She has been with our company for over 3 years. 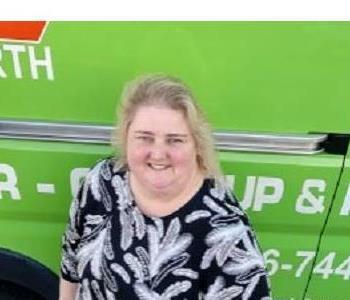 She has 25+ years in Office Management/Customer Service. Bill is our Production Manager. He has over 10 years experience in the industry. When He comes to your disaster you can expect to have a thorough investigation. Bill will develop a drying plan for any water intrusion, a smoke and soot removal for any fire scope, and a remediation for all those microbial invasions. 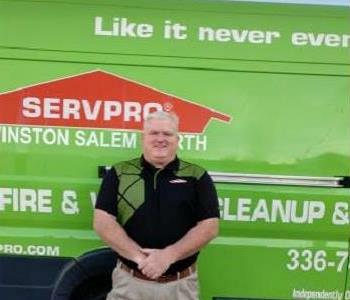 Biohazards are no match for this confident leader. 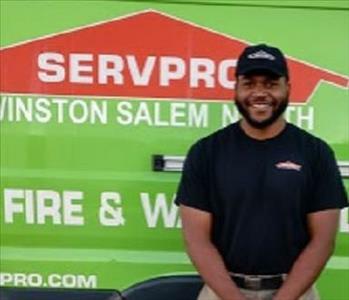 He has received numerous certifications from the Institute of Inspection Cleaning and Restoration Certification to include: Water Removal Technician, Applied Structural Drying Technician, Carpet Cleaning Technician, Fire and Smoke Restoration Damage Technician, and Applied Microbial Remediation Technician. 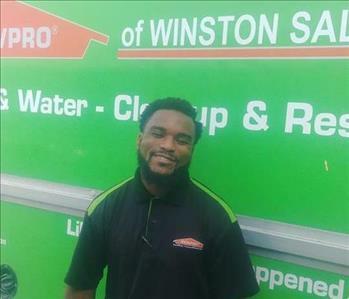 DeCarlos "Los" Williams has been with SERVPRO of Winston Salem for almost a year. He started as a technician and was promoted to Crew Chief. Los is our crawlspace expert. His explosive personality levels any disaster he meets. 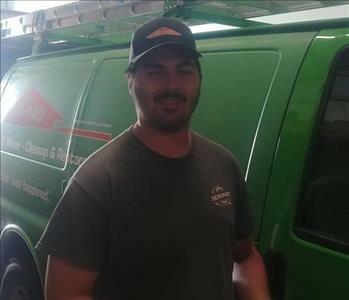 He recently received his Water Damage Restoration Technician certification from the IICRC. 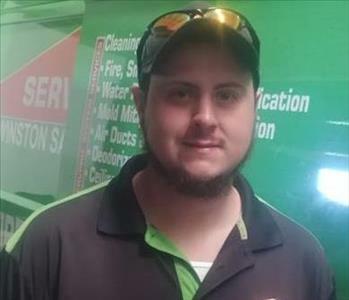 His friendly smile and wonderful aura is contagious and a welcome relief to any job site. Clayton is a Crew Chief. 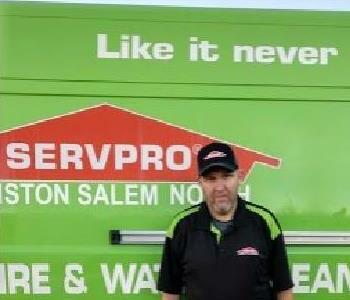 He recently joined SERVPRO of Winston Salem North. Currently he is attending Community College for Diesel Mechanic. Using troubleshooting skills in college is quickly being adapted in our world. Eager to please, makes Clayton an asset when it comes to Customer Service. John Brown is our newest technician. 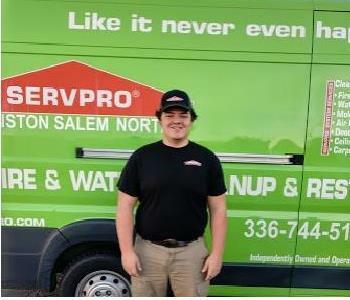 While he is new to SERVPRO he is not new to the family. His tireless and methodical work ethic is amazing. He brings a dynamic sense of accomplishment to any jobsite and is a welcome addition to this team. A technician with a drive and a determination to excel any other in this league. Cruz's attitude extraordinaire is contagious. When he is on the job you can expect greatness. Liz is our office assistant. She is a breath of fresh air when you call this franchise during a disaster. We are so thankful to have this woman. You will speak to her more than likely when you call the office. Her energetic attitude and positive voice will signal to all that We are always HERE TO HELP. She verifies our schedules and calls clients to inform them of such. She coordinates many moving parts and without her, we would grind to a halt.